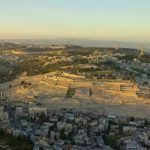 JERUSALEM – The final week of February was an informative and enlightening time as a committed Zionist. I participated in the Zionist Organization of America Leadership Mission to Israel. 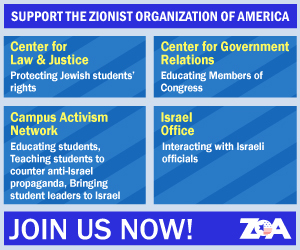 It was the inaugural mission and ZOA expects to repeat this meaningful mission in 2020. While many organizations sponsor unique missions to Israel, this mission will be available to the public in 2020 and is complete with incredible experiences. Our opening night dinner featured Knesset member Amir Ohana, co-sponsor of the Nation State Bill. This bill limits who can be a citizen in order to maintain a Jewish State. The realization of the modern Jewish State of Israel occurred in 1948. This bill maintains the original premise. Ohana asked the rhetorical question, “If Israel withdrew to the pre-1967 borders – why would there be more peace than occurred pre-1967?” He believes there should be no negotiations with the Palestinians until all funds paid to terrorists by the Palestinian Authority are stopped. This is now the status quo. MK Ohana highlighted this fact with the observation that the government building in Ramallah is named after Yahya Ayyah, the “engineer” who was responsible for murdering over 100 Israelis. The general explained the flaws with the two-state solution. First, the Gaza Strip situation illustrates separation does not lead to stability. Second, the West Bank provides an example that Palestinians having civilian control does not lead to peace. Third, almost 4,000 U.S. service members were killed in Iraq and Afghanistan, which proves that IDF superiority is less important as battles are now fought with cell phone devices and roadside bombs. Fourth, international legitimacy does not follow Israeli geographic withdrawal, as was shown in Gaza and southern Lebanon. MK Avraham Neguise informed the mission participants that half of Israeli Jews were born outside of Israel. Neguise is one of 150,000 Israelis born in Ethiopia. He explained the developing relationship Israel has with African nations in the areas of water resources, solar and agriculture. He has addressed the South Africa Parliament to explain why Israel is not an apartheid state and the anti-Semitic fabric of the BDS movement. ZOA National President Mort Klein gave a short history lesson beginning with the Arabs making Ramallah, not Jerusalem, their capital in 716 C.E. The eternal capital of Israel was a slum from 1948-1967, when under Jordanian control. The city has thrived since the Six Day War ended. As Mark Twain noted, Jews were a majority in Jerusalem, and present day Israel, in his 1867 excursion. This has been the case for the past 150 years. Member of Knesset Yehuda Glick sobered us with the statistic that 23,000 Israelis have been killed since 1948, and this is one-half of a day at Auschwitz. Glick was the target of a terrorist attack in 2014, and survived four bullets to his mid-section. The attacker was killed by security forces hours later. He expressed his view that Arabs and Jews were separated in 1948 with the same amount of nothing. The Jews have created a full and rich society, while the Arabs continue to blame the Jews. MK Glick explained 25 percent of agriculture came from Gaza in 2004 and that the 2005 withdrawal of this enclave has developed tunnels and terror. A highlight of our time together was a trip to the new embassy and meeting with Ambassador David Friedman. Friedman was engaging and forthright for over an hour as he explained the reasons for moving the embassy and opportunities that now exist from this decision. He explained we live in a world of evidence, not wishful thinking. Peaceful resolution will not happen until “pay for slay” stops. Efrat mayor Oded Ravivi hosted a beautiful lunch while detailing the conflicts before 1948, after 1948, before 1967 and after 1967. He does not see improvement in relations regardless of attempts for peace. Ravivi recently invited local Arabs for a breakfast discussion, and the P.A. later arrested these Arabs for collaboration. Our group of 30 boarded a bus to the ancient holy city of Hebron. Spokesman Yishai Fleisher guided us for the day, which included a history lesson. Abraham purchased the land to bury Sarah, and six of the seven patriarchs and matriarchs are buried there. Only Rachel was buried elsewhere. This is the city where King David was crowned and his kingdom began. The Machpelah is the large primary building that was built by King Herod 2,000 years ago. Jews have never left Hebron. The mayor and deputy mayor of Jerusalem spent an evening with our group and informed us that Jerusalem must always remain united. They recognized the vast majority of Muslims want peace. The capital city is equally divided among Haredi, Arabs and secular Jews. Moving the U.S. Embassy to Jerusalem has created an economic boost and additional countries will probably move their embassies in the near future. The exodus of young people to other areas within Israel is a concern. Our trip to the Gaza Strip brought us to an IDF base camp, where we learned of the operational changes made since Protective Edge. Brigadier General Bentzi Gruber explained the three objectives for IDF soldiers: fight, win and remain human. We watched videos that illustrated the restraint used by the IDF as missiles are diverted and shots are not fired to avoid civilian casualties. The all-volunteer security force, Yatar, brought our group inside the security barrier within one half mile of the Gaza border. This counter terrorism unit uses $65,000 ATVs to navigate difficult terrain and tight alleyways. I was privileged to ride in the ATV with Congregation Beth-El (Newton) beautifully engraved on the doors. Our local congregation, led by Rabbi Gershon Segal, was incredibly generous to provide one of the five Yatar machines. The unit needs many more to keep citizens safe from terror. A 2019 summer stop in Boston to highlight this unit is currently under development. While I have been blessed to visit Eretz Yisrael annually for many years, this ZOA mission brought into focus the challenges, opportunities and accomplishments of Israel in an unimaginable way. Reservations for the 2020 mission will be available this fall. Interested in taking a quick look at the 2019 ZOA Leadership Mission to Israel? Click below to view some highlights of the people we met, the places we saw, and the reasons why we keep going.